Here’s the last of the live acoustic videos cut down in my basement studio. This time it’s everyone’s favourite Parisian party track “One Hot night”, in a more reflective stripped down setting. This is always great fun to play live. I’m looking forward to hitting the road for some shows with the full band in November supporting The Zombies. Hope to see some of you there! The new Deluxe Edition of Fred’s debut solo album Serious Poke, with 6 bonus tracks, is out now! Tickets now on sale for Fred Abbott’s “Serious Poke” album launch at The Borderline, Friday 31st July! Serious Poke, Fred’s debut album is out 24th July – GET YOUR COPY HERE. Premiere! 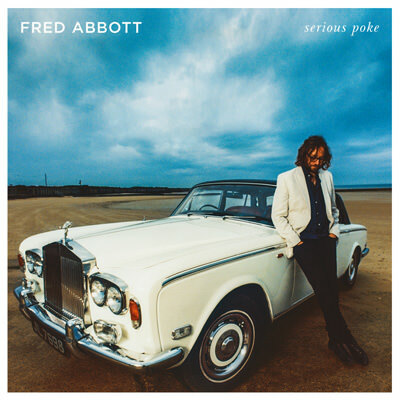 Clash Magazine have premiered the new music video from Fred Abbott’s forthcoming album ‘Serious Poke’. Featuring former Noah And The Whale colleagues Matt Owens Music & Michael Petulla + Tom Figgins.